The dedicated yoga practitioner understands that each asana transcends the physical realm; it teaches the student how to overcome the mental and emotional obstacles that lead to deeper spiritual insight. The following five yoga poses present you with the opportunity to move through the physical challenge in order to shine the light on blind-spots you have in your life that need attention. These could be the emotions that crave expression, and the dormant dreams that are stirring within you that just want you to WAKE UP already! That stubborn "I CAN'T" inner voice will likely attempt to dissuade you, but you can exhale that voice of defeat and inhale the appropriate affirmation to transform doubt into possibility. 1. 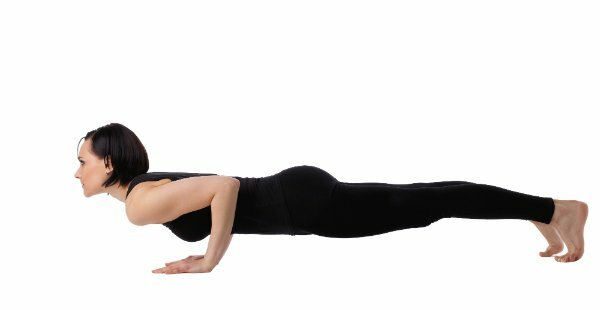 Chaturanga Dandasana - "The Dreaded Push Up"
Somewhere along this journey, you told yourself (or worse, someone else led you to believe) that you lack strength. Chaturanga Dandasana points out where you feel the weakest and not so gracefully forces you into your vulnerabilities. Fortunately, this pose involves your whole body, which means your arms, legs, core, breath and drishti all work together so you can recruit all the help and support you need! Yet even with impeccable alignment, you will still inevitably struggle (and tremor and shake) before you want to collapse to the floor. But, you can use this affirmation while in the midst of giving up, " I AM STRONGER THAN I THINK." 2. Chair Pose or Utkatasana - "The Hot Seat"
Take care not to sit so deep that you strain your back or put unnecessary stress on your knees. If your thighs burn and you feel your glutes ablaze, then feel free to remain seated in the fires and confront the mental resistance you have towards embracing contradictions. The balance between stubborn rigidity and self sacrifice exists in the presence of compassion for the self and forgiveness for others. Taper the flames with this cool breeze, "I AM DOING THE BEST I CAN, AND SO IS EVERYBODY ELSE." 3. Cobra Pose or Bhujangasana - "My Neck, My Back Ouch! Not like That!" This seemingly gentle backbend requires constant awareness. Proceed with caution when you get around this pose, as you can quickly compress the lumbar and cervical spine if you move with too much force. The tendency to work too hard can overpower the benefits that come from skillfully expanding the width of your front body to gain greater heart opening and clearer peripheral vision. The Cobra has the unique ability to see the big picture with great clarity, but if pushed beyond comfort, will attack with a venomous bite. Stay safe by remembering this, "I KNOW MY LIMITS AND I AM CAREFUL TO NOT OVEREXTEND." 4. Handstand or Adho Mukha Vrksasana - "The Impossible"
First off, you must find your roots in this pose, and you will NOT find them at the wall. Sorry. 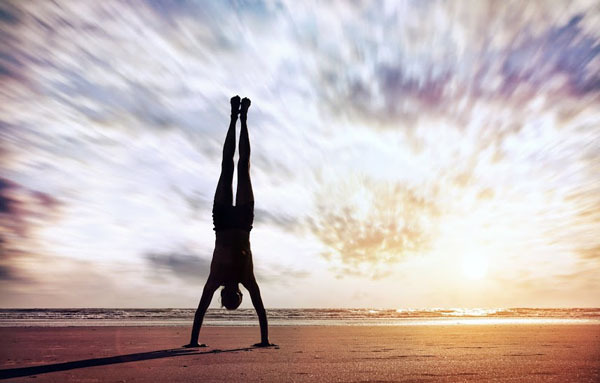 This upside down tree pose turns the whole world upside down and the idea of finding balance on the hands can feel like searching for a hidden treasure in the dark forest. You can find this elusive center by discerning the fine line between using too much of a momentous kick and not enough power to float the legs upward. Despite the many useful strategies and tips to master this pose, only persistent practice will get you to the root of this tree. You must depend on your own internal compass and no external source will get you there faster. If you insist on using the wall please know that over time the wall that supported you becomes a barrier and you will eventually tear it down. When searching for this tree tell yourself, "I AM THE BALANCE THAT FLOWS." 5. 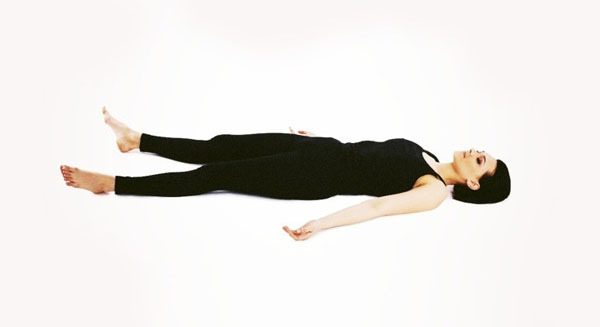 Corpse Pose or Savasana - "The I Can't Relax"
Savasana teaches you to slow down, and requires keeping the body and mind in a state of stillness. This can feel like such a daunting task that it creates anxiety - or even moments of panic - because it deviates from the usual routine of actively “doing” and expending mental and emotional energy in our focus of daily tasks and goals. This final resting pose requires as much attention as any other asana, but with full emphasis on just "BEING" without any external distraction, such as movement or visual stimulation. Who are you in that kind of silence? When confronted with ego identification, attachments to others and any overwhelming desires or ambitions, repeat the mantra, "I AM PEACE." Remember that holding back, overthinking, or exercising excessive caution comes from a place of fear and can create even more resistance. Yoga does more than align your body; it empowers you to choose how you want see the world. Sometimes you just have to practice from a center of trust and just go for it! Which yoga poses do you find most challenging? Share them below!